We've all been taught that keeping our face clean is a vital step to avoiding acne. This is because we know that a specific type of bacteria called Propionibacterium acnes (P. acnes) is a major contributing factor to the inflammatory component of acne. Inflammation is what leads to redness, sensitivity and scarring. If you want to rid yourself of acne, you have to control the inflammation. Until now, doctors often prescribe antibiotics in order to suppress or kill off this bacteria. Unfortunately, this has nasty side effects including the destruction of the healthy bacteria in the gut. It can also lead to one becoming resistant to antibiotics which is not a good if in the future you need antibiotics for a serious health issue. Fortunately, our friendly bees may have a solution for us in the form of bee venom. Purified bee venom is a natural toxin produced by honeybees and has been widely used as a traditional medicine for various diseases. The research on bee venom is quite remarkable. 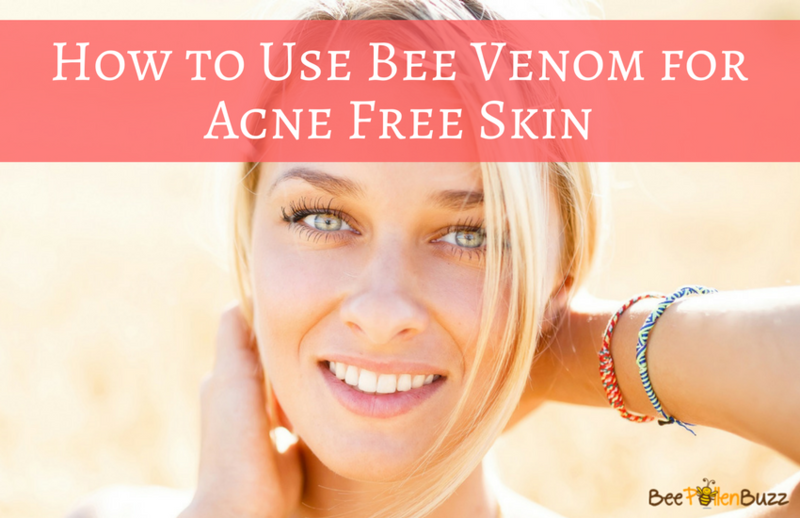 In one recent study on mice with high levels of the nasty acne bacteria (P. acnes), bee venom significantly reduced the inflammatory chemicals that are released by the acne bacteria. Fewer inflammatory chemicals leads to greatly reduced redness, pain, and scarring and often less acne. Ultimately, it leads to nicer, healthier skin. In another study published in the International Journal of Experimental Pathology, bee venom was applied to the skin of mice with severe dermatitis. Dermatitis is another inflammatory skin condition that leads to redness, itchiness, pain and scarring. Only one hour after application, it was found that inflammation and itchiness were reduced and that the production of pro-inflammatory chemicals was inhibited. After spending the last several months researching bee venom as a possible skin tonic and finding the research to be quite compelling, I set out to source a quality product to test. 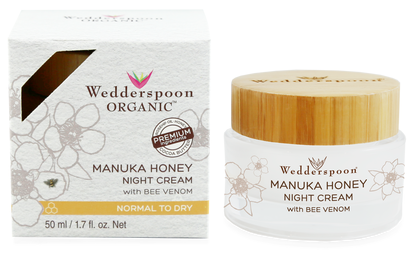 Recently I began testing the Wedderspoon Bee Venom Night Cream and within hours of the first application, I 'felt' something happening with my skin. Perhaps this was simply the gentle tingle of the bee venom but I've never before experienced a skin product that made my skin feel like this. The optimist in me would like to believe that what I saw after the first night was real but the logical part of my brain won't allow me too - a product simply can't work this fast, or so I told myself. What I saw after three days however, could not be denied. 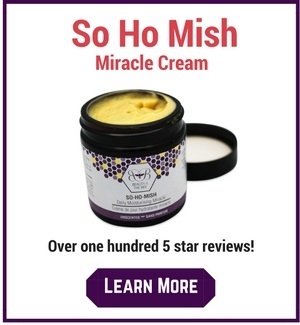 I use the So Ho Mish Miracle Cream, GLA Skin Oil and Active Collagen daily along with royal jelly facials so my skin already had a healthy glow. I didn't know how much room for improvement I had but apparently it was a lot. Quite simply, I am now addicted to this product and I have made it a part of my skin routine. It is not cheap so I use it every other night as a mask before bed.